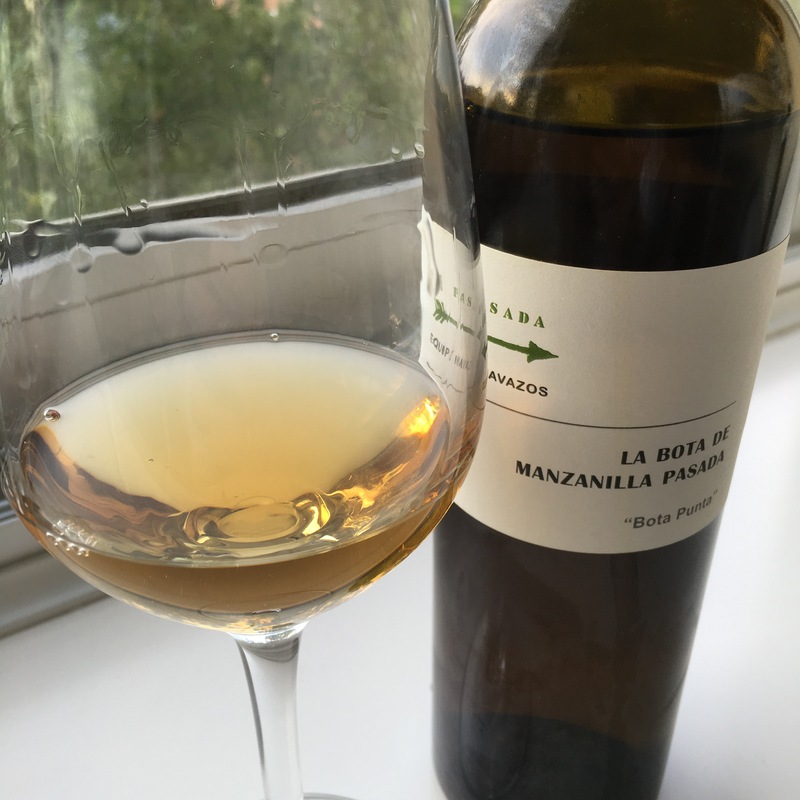 This is my second bottle of this cracking manzanilla pasada by Equipo Navazos and I am really wondering if I was in possession of my senses the first time around. Back then I highlighted the elegance and, reading between the lines, seemed to consider it a bit quiet. Coming back to it now that seems outlandish. It has absolutely bags of flavour and power: salty brine, haybales, stewed, baked apples, and a spicey finish. In fact, if anything the flavours seem almost too vivid. The salty haybales and jammy fruits balance each other in some ways but like an hourglass – there is too little middle ground. The result seems to lack overall harmony. Last night I opened it alongside an older riesling from a famously chalky vineyard but in retrospect it wasn’t a great comparison – a completely different profile – and that side by side may be behind my fixation on the saltiness and yeasty hay bales. What was clear from the comparison was just how complex and full of life the wines of Sanlucar and Jerez are when compared to the “table” wines of other regions. Nevertheless I intend to take my time with this bottle and will write more soon.